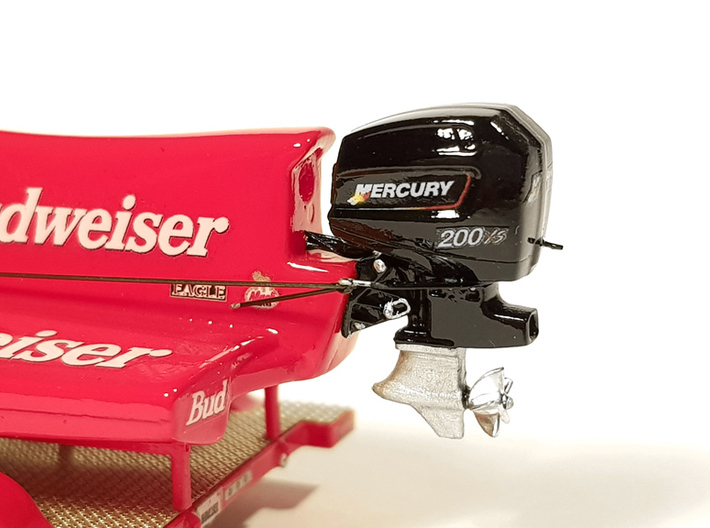 Mercury XS200 with F1 Boat "Miss Budweiser"
This is the speedboat version of the MERCURY 200 XS outboard motor in scale 1:87. 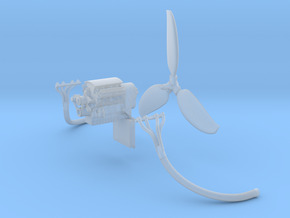 It is extremely detailled, with hinges, bolts, propeller and splitting lines. 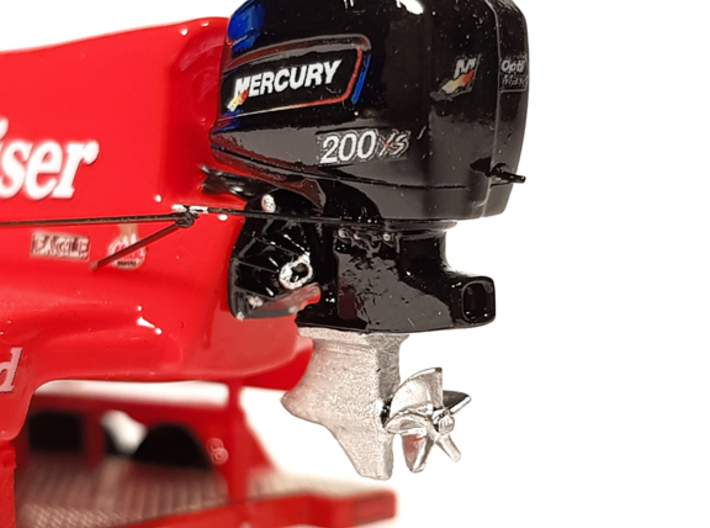 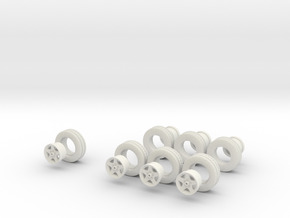 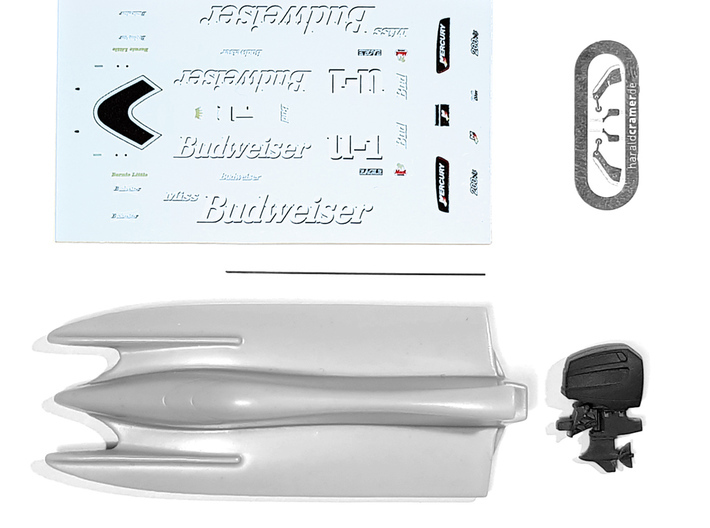 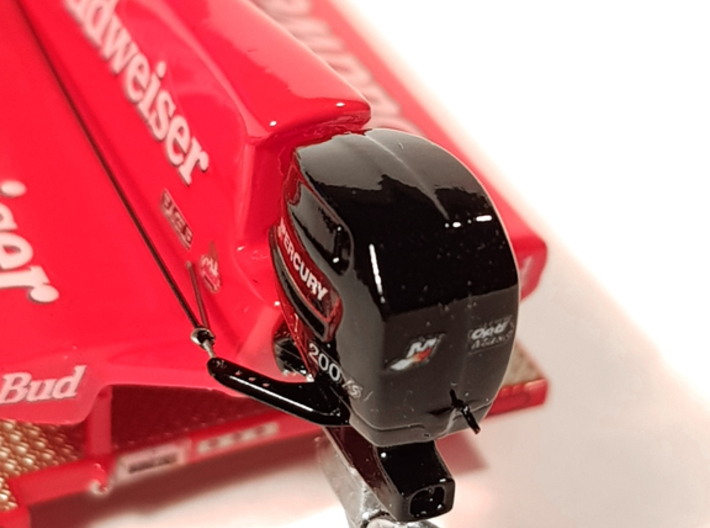 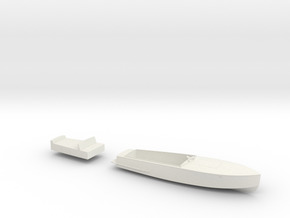 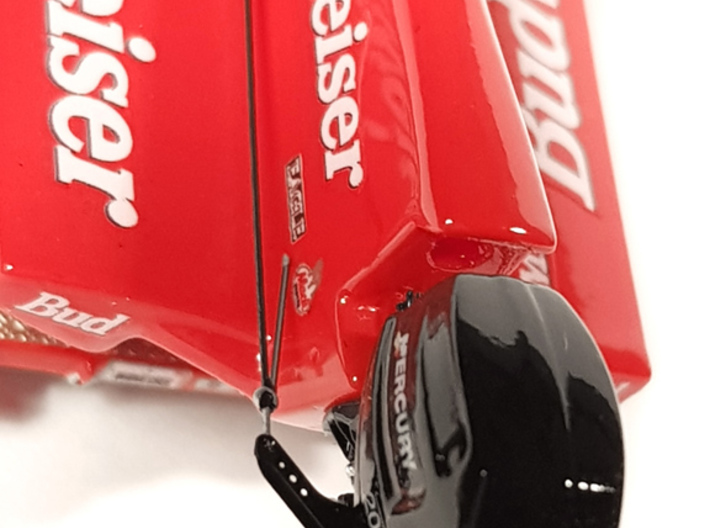 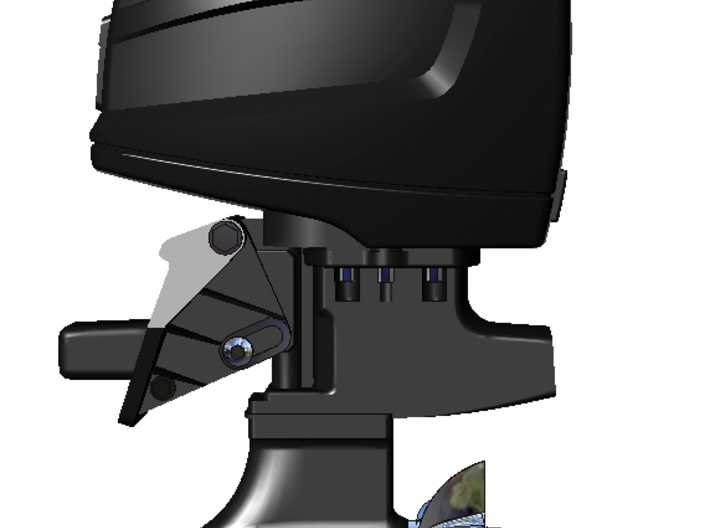 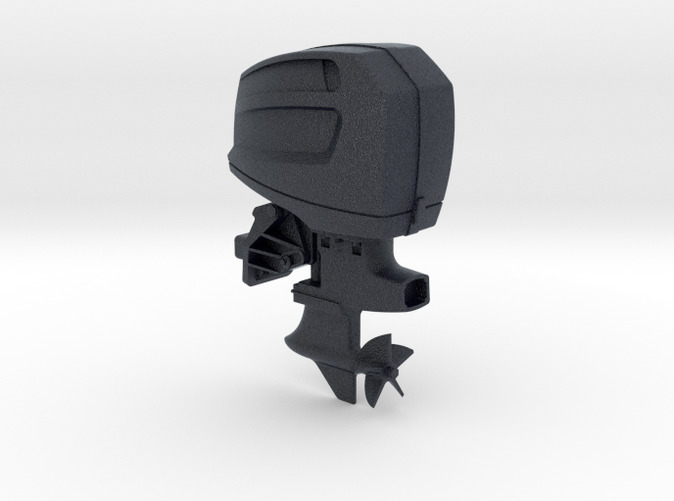 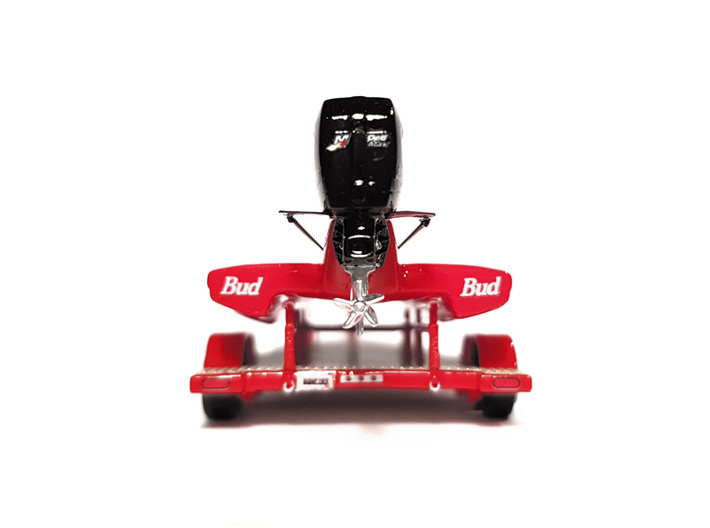 The motor fits to lots of boats with outboard motors in scale 1:87 as well as to speedboats such as Formula 1 boats (available from me). 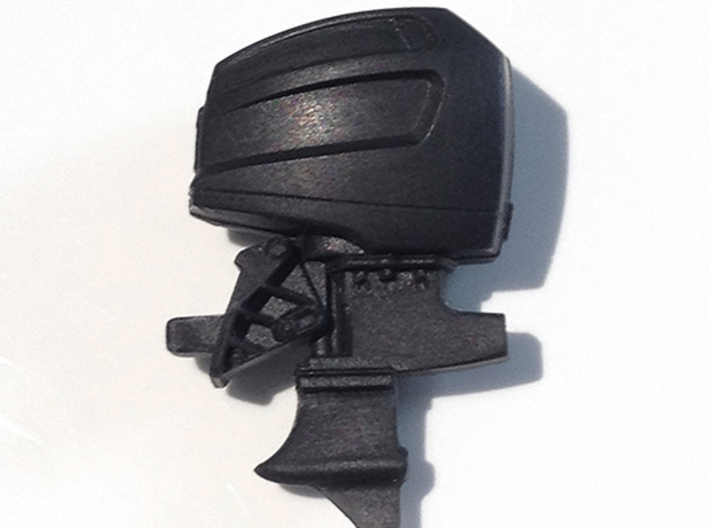 Decals for perfect finish and coloration will be available, just send me a message.